In this example, we'll add a custom stylesheet to a mod. Click the gear (cog) in the header of the CSS panel to open the CSS settings. From there, you can either choose a stylesheet from the dropdown menu or paste a URL to other stylesheets. In the dropdown shown below, the first few stylesheet options are "Namespaced". 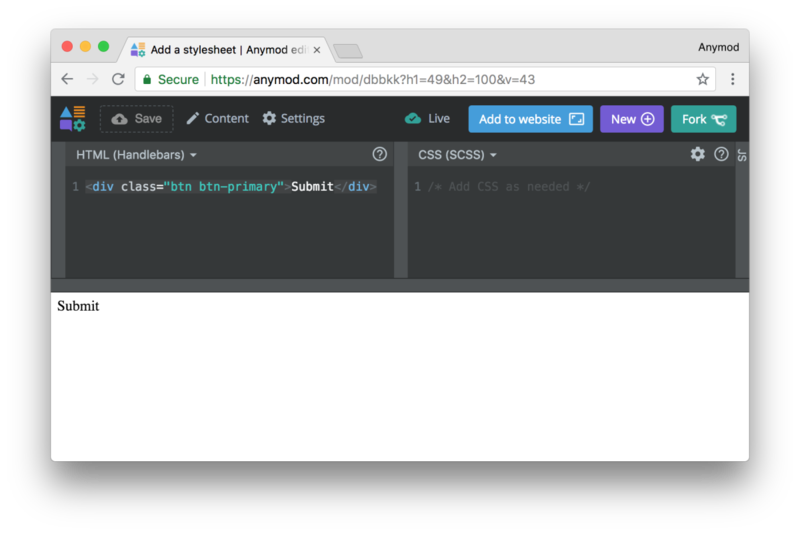 Using these stylesheets will only affect your mods, while styles you add from other external stylesheets will be applied to your entire page. See Namespaced CSS for more details. Copy and paste this URL into the mod input that says Add external stylesheet, then click Add. 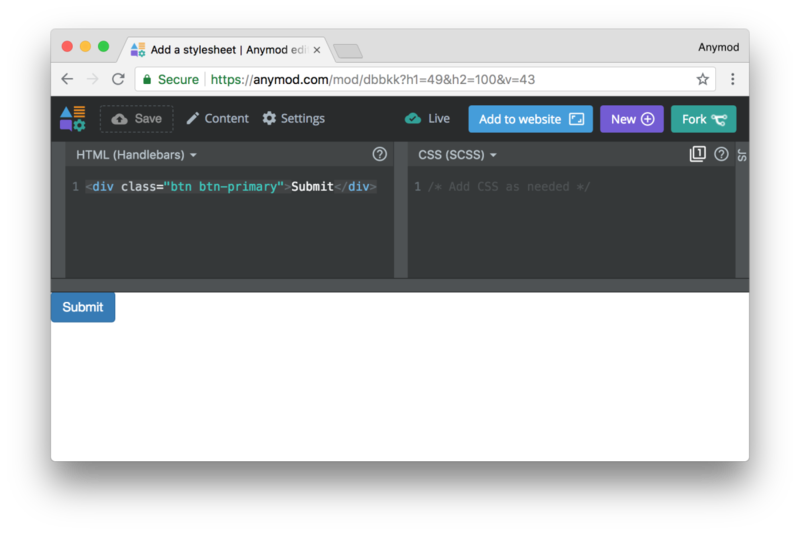 Your mod will automatically load any external stylesheets when you've added the mod tag to your page. 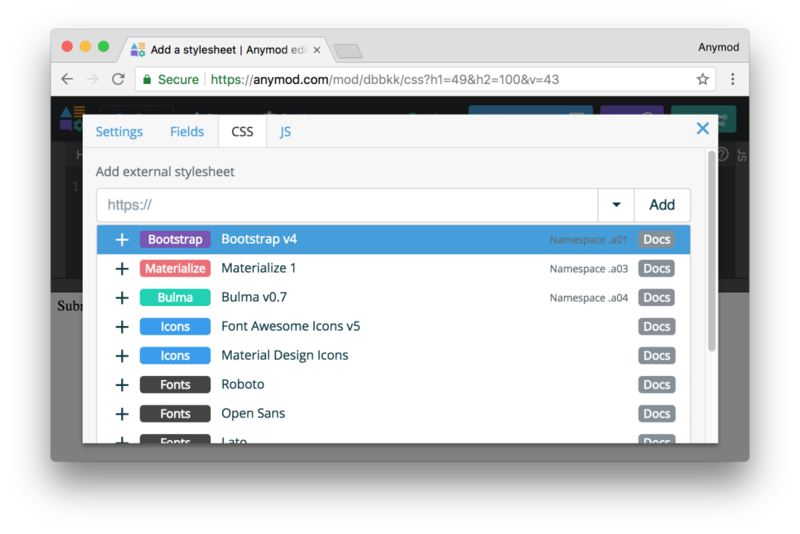 However, for improved performance, it is best to also add any external stylesheet tags to your page as described in Optimizing CSS & JS assets.